The Intel Barstool, made with red eco-leather and a stainless steel base. Intel barstools feature a convenient hydraulic height adjustable base. This allows any user to change the height to what's most comfortable. The sculpted back rest adds wonderful comfort to this unique design. Seat height adjusts up or down 10". The Monroe Hydraulic Barstool by Elite Modern has a unique vintage design appeal with added ergonomic comfort. 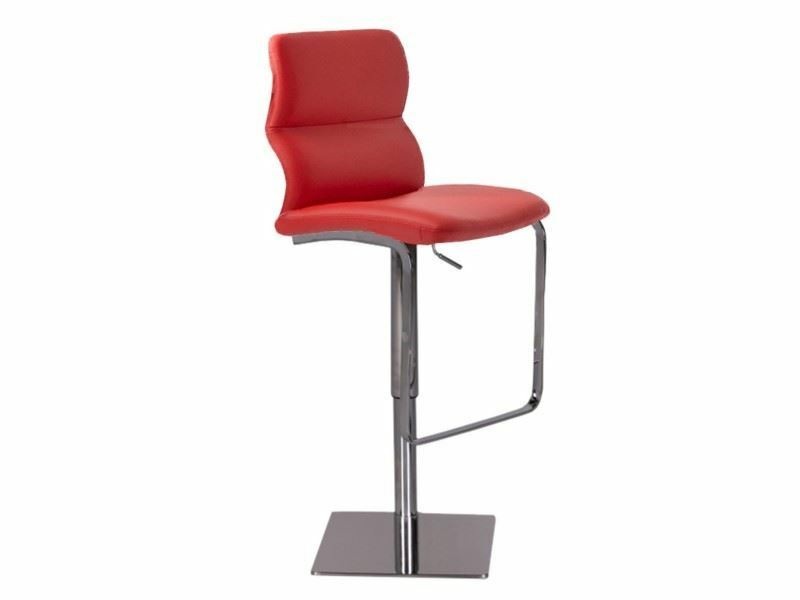 The Monroe is an adjustable height barstool. The back and seat can be upholstered in a variety of covers, easily designed to perfectly match your setting. Seat height adjusts from 26" Counter Height to 30" Bar Height. See below for more details and all available options. 21"D 19"W 46"H.